Alfred Mitchell, a painter of Impressionism and Post-Impressionism. Mitchell settled in San Diego in 1908. Alfred Mitchell had been in Nevada during the Gold Rush and later settled in San Diego in 1908. 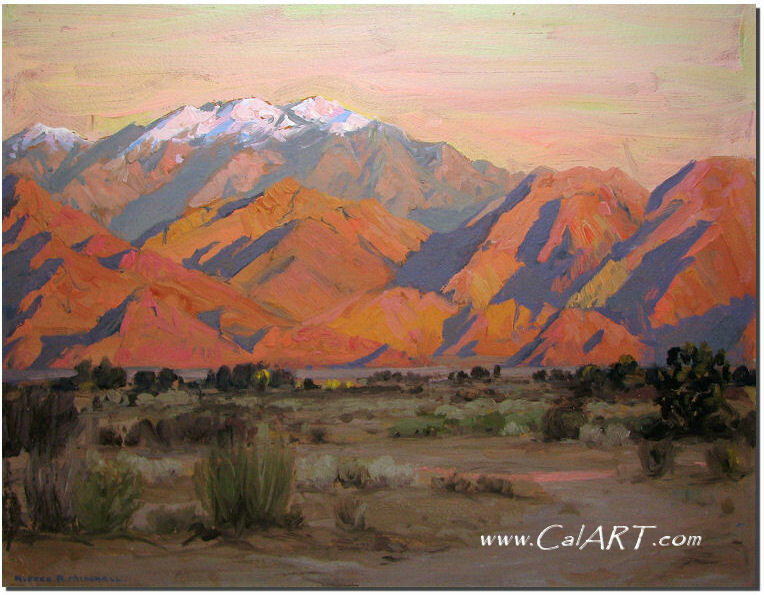 There he began training in 1913 at the San Diego Academy of Art, the city's oldest art school, which had been founded by Maurice Braun. Mitchell was Braun's most important pupil, and at his teacher's suggestion, he went to study at the Pennsylvania Academy of the Fine Arts in 1916. He adopted the clear light and strong outlines of Daniel Garber and others among the New Hope Impressionists, and especially admired the work of Edward Willis Redfield. Alfred Mitchell returned to San Diego in the early 1920s and was president of the San Diego Art Guild in 1922-23. 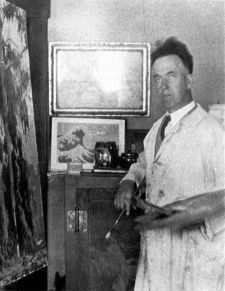 He also helped found the La Jolla Art Association in 1918 and exhibited his works there regularly. 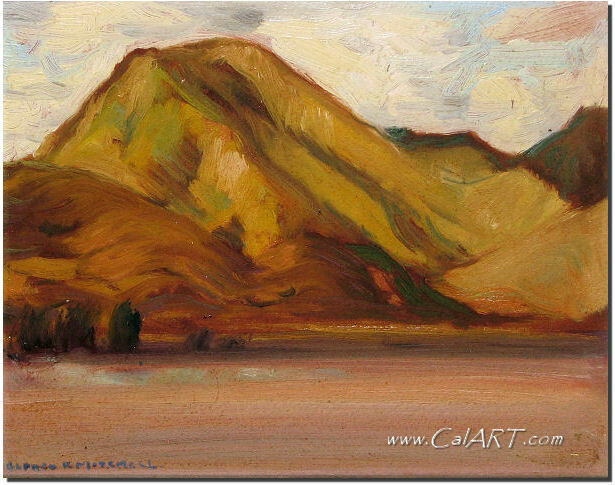 Because of its strong color, most of Mitchell's art is categorized more as Post-Impressionistic, although his painting Summer Hills of 1929 would probably be his best fully Impressionist piece. Along with Braun, Fries, and other artists and sculptors, Alfred Mitchell formed the Associated Artists of San Diego in 1929, later changing the name to Contemporary Artists of San Diego, which as a group represented the strong professional art community that had developed there. Alfred Mitchell biography courtesy Edan Hughes.